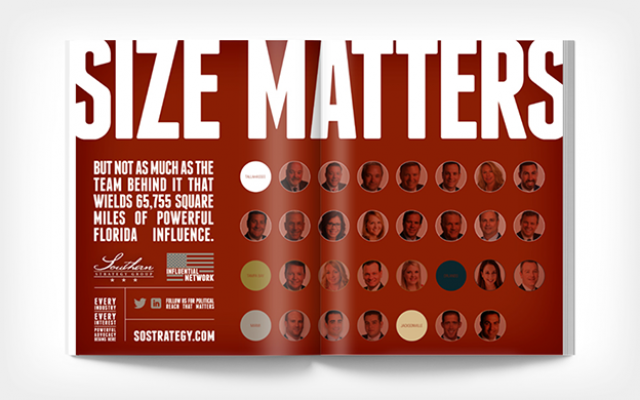 powerful advocacy begins here, with the undisputed "Jedi of networking"
Our goal: create calculated disruption within the lobbying industry to reignite Southern Strategy Group’s position as an industry thought leader. 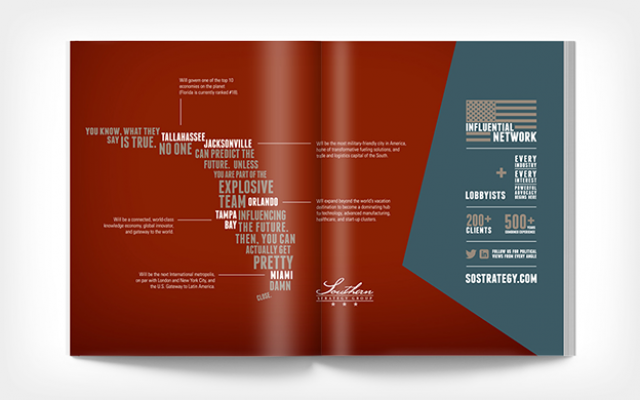 After conducting industry research, activation of our efforts started with strengthening and refining their brand. 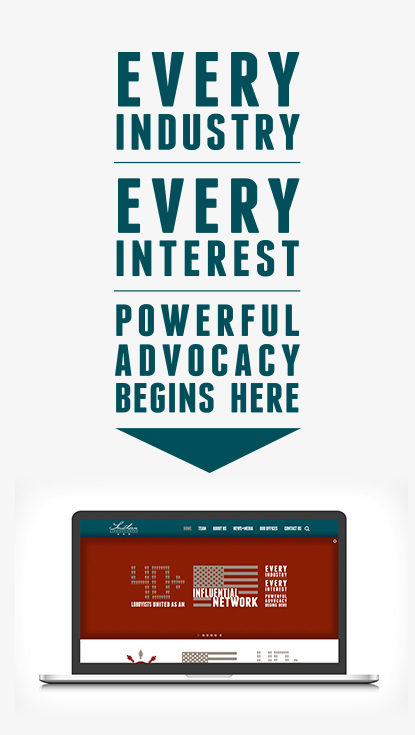 We accomplished this by ditching the industry-wide reliance of photos of stately columns, the state capitol building, neutral colors, and traditional serif fonts, and instead, took a bolder approach that aptly complements their new tagline: Powerful Advocacy Begins Here. 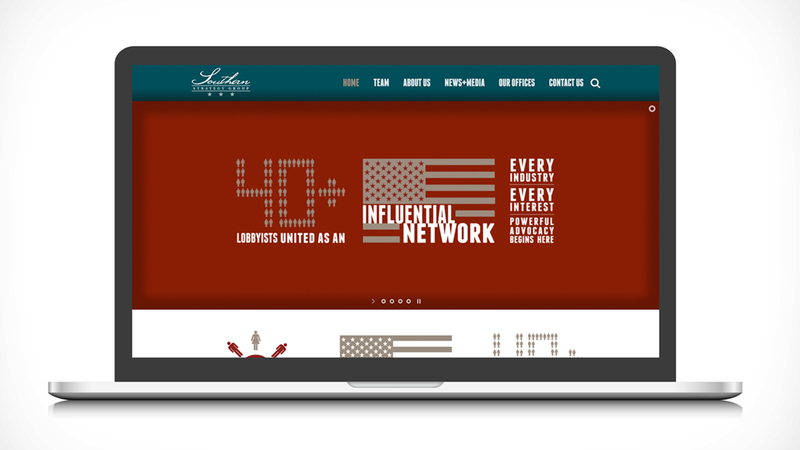 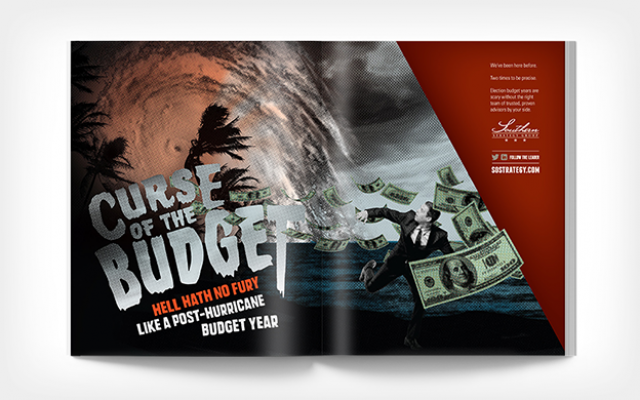 With the brand platform in place, we launched the social media strategy and completed an overhaul of their marketing materials, most notably, the adoption of infographics to help them communicate their strategies, experience, and client stories in captivating ways. 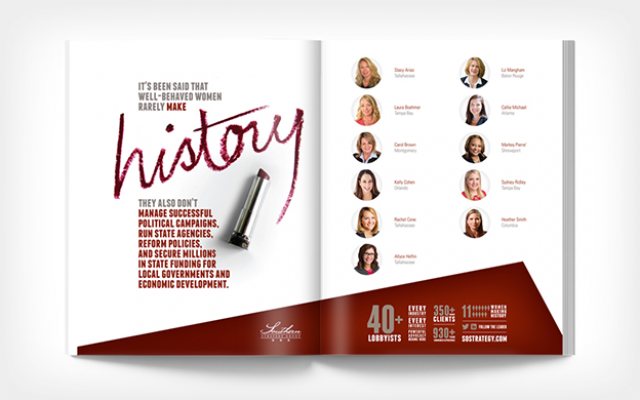 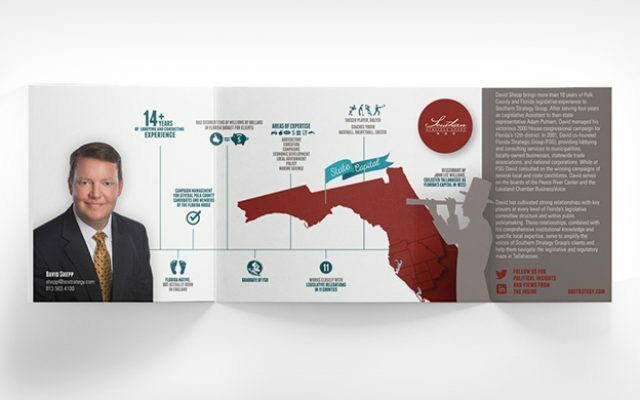 What started as a rebranding project has expanded to include marketing and advertising of Southern Strategy Group’s portfolio of offices throughout the Southeastern United States. 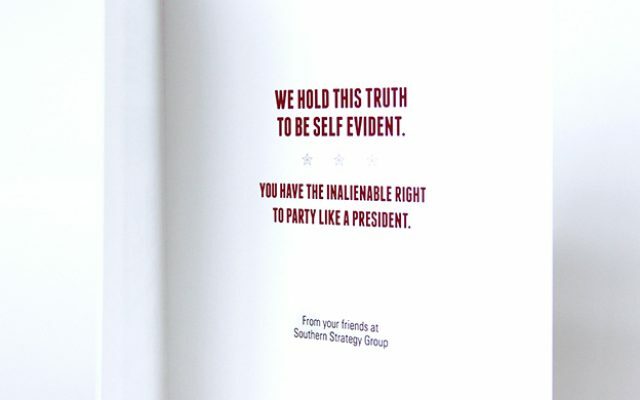 Southern Strategy Group is powered by powerful lobbyists who possess immense intellectual property and priceless relationships. 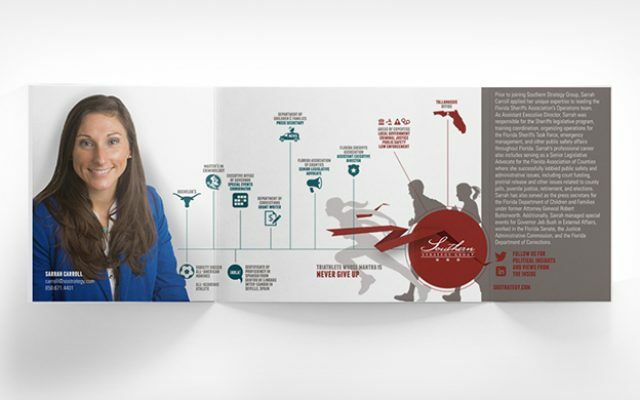 Biographics (infographics) were conceived as a way of succinctly distilling each partner's unique values in a dynamic and memorable way. 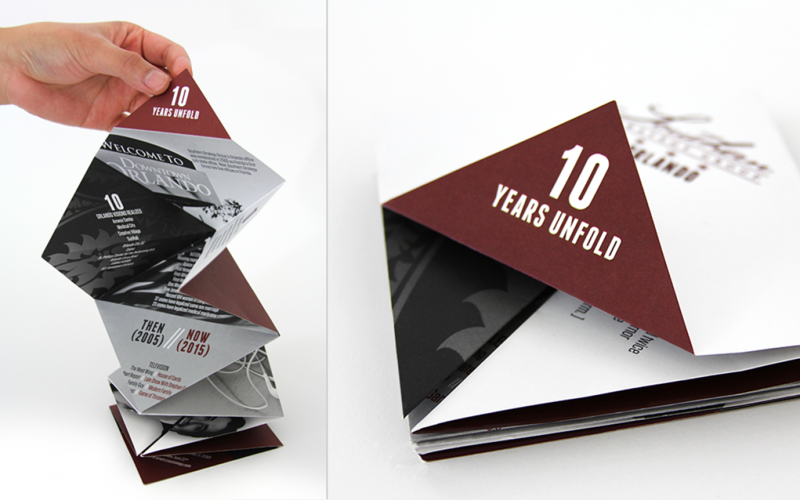 To commemorate the 10th anniversary of the opening of the Orlando office, we developed an intriguing origami-style custom folding mailer. 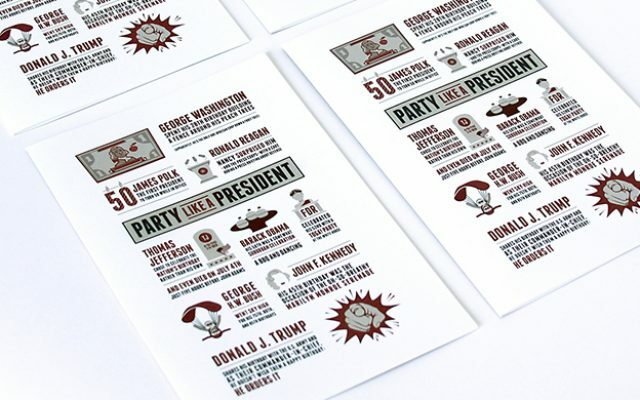 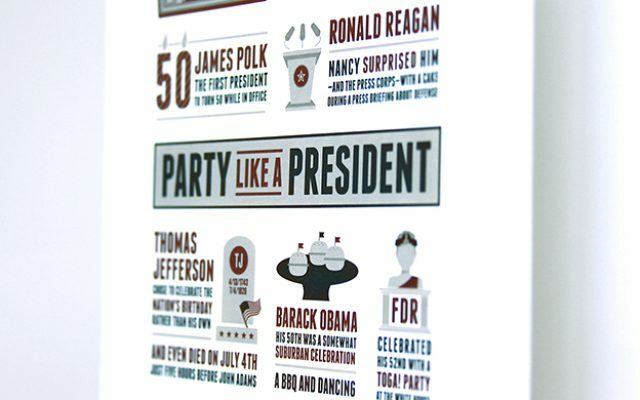 "Party like a President" is a custom birthday card uniting random and humorous birthday facts about past presidents.